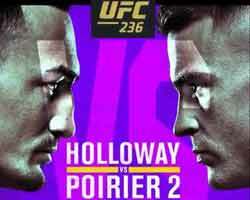 Review: 2014-05-31, fight not so exciting between Robbie Peralta and Rony Jason: it gets two stars. The black belt in taekwondo and Bjj Robbie Peralta entered this fight with a record of 17-4-0 (88% finishing rate) and he is ranked as the No.27 featherweight in the world, he fought twice in 2013 losing to Akira Corassani (=Peralta vs Corassani) and winning over Estevan Payan. His opponent, the black belt in Bjj and kickboxing Rony ‘Jason’ Mariano Bezerra, has a record of 14-4-0 (93% finishing rate) and he entered as the No.30 in the same weight class, he suffered his last defeat in 2013 when he faced Jeremy Stephens (=Stephens vs Jason) but he came back to victory in 2014 beating Steven Siler (=Siler vs Jason). Peralta vs Rony Jason is on the undercard of Stipe Miocic vs Fabio Maldonado – UFC Tuf Brazil 3 Finale. Watch the video and rate this fight!